AIIMS MBBS 2018 exam was concluded on May 27, and the results are likely to be declared on June 18, 2018. New Delhi/28.05.2018: AIIMS MBBS 2018 exam by the All India Institute of Medical Science has been concluded on Sunday. The entrance examination was held for admission to MBBS course at various centres throughout India, including AIIMS New Delhi and other 8 AIIMS (Patna, Guntur, Bhopal, Rishikesh, Bhubaneshwar, Nagpur, Raipur and Jodhpur). The exam was conducted in two shifts - morning and afternoon – in 155 cities all over the country. It was a computer-based test (CBT) and was held on 26th and 27th of May 2018. The duration of the test was three and half hours. The results are expected to be declared by the All India Institute of Medical Sciences on June 18, 2018. There have been mixed responses regarding the AIIMES MBBS 2018 question papers. The Physics paper (complicated and lengthy calculation) was pretty much tough compared to the Biology paper, which was quite easy. Other papers, including Chemistry, GK and Logical Reasoning were of moderate level. Anupam, one MBBS aspirant, tweeted, “The exam is over now. Not sure what will be the rank. Around 30 questions of physics was tough (*according to me). Let's hope for the best. #AIIMS2018”. The entrance exam had only one paper. There were 200 objective type questions from four subjects – Physics, Biology (Botany & Zoology), Chemistry and GK/Aptitude. The subjects, Physics, Biology and Chemistry, carried 60 questions. The General Knowledge/Aptitude subject had only questions. Students were aware of the standard of the questions. They were of Class XII level questions under 10+2/Intermediate Science. Moreover, there was negative marking scheme for the AIIMS MBBS exam. For each right answer, students would be awarded 1 mark. For an incorrect answer, they will get a score of – (minus) 1/3rd. For un-attempted questions, no credit will be awarded. The admit card for the entrance exam was released on the official website on 10 May 2018. 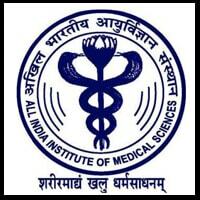 The results will be announced by the All India Institute of Medical Science on its official website i.e. aiimsexams.org on June 18, 2018.